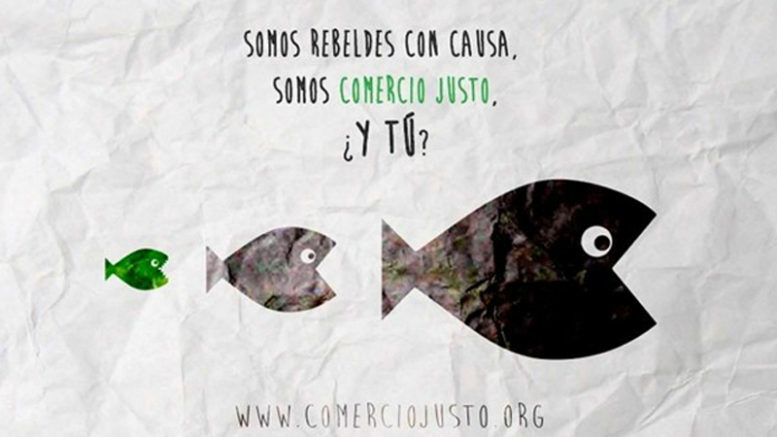 Two national umbrella organisations working to raise awareness of the benefits of fair and sustainable commerce in promoting development and social justice in developing countries have called on Spaniards to trade in the passivity of so-called “slacktivism” and become active in supporting organizations and causes that promote social justice, equality and environmental sustainability worldwide. At a press conference Tuesday in Madrid, the two organizations launched the campaign, “We are rebels with cause. We are Fair Trade, and you? ” to encourage Spaniards to act positively toward achieving a global economic model that puts social justice and and the environment at the center of all economic activity worldwide. Noting that nearly 80 percent of the population worldwide owns just 6 percent of the world’s wealth, while the richest 1 percent own half of all wealth on the planet, the organizations called for active support of the more than 2,000 peasant, artisan and food producer cooperatives in 75 countries in Asia, Africa and Latin American that employ more than two million people in fair and sustainable production of food, clothing, furniture and other products for sale to consumers in developed countries like Spain.